By having the right deadbolt at any main entry point, you minimize the potential of a burglary. When you plan deadbolt installation in Woodbridge, Ontario, remember that our company is here for you no matter which lock you pick. We are here to help you with your choices, for the installation of the new deadbolt, but also for repair services. Don’t diminish the value of existing deadbolts. Call Woodbridge Locksmith if you are dealing with some problems or even for maintenance. We will be happy to assist. Call us if you like to install high security deadbolt locks in Woodbridge. Equipping each main door with a deadbolt is the best thing you can do to deter potential intruders. Breaking down deadbolts is not easy. Thieves will prefer to move on than make excessive noise or struggle with your deadbolt whereas they will easily kick the door down if it’s secured only with a simple latch. That’s why it’s imperative to install deadbolts to all entry points in the home or office. And if you are looking for experts in high security door locks installation, you cannot go wrong with our company. We have years of experience in these types of locks and deadbolt installation. On top of that, we get updated with the innovative and high tech products and so is every tech sent your way for the service. Choosing the right deadbolt is also important. Today, there are many choices among brands and based on whether you like a digital lock or not and depending on the door’s material. There is plenty to consider before you pick locks and we can help with that too. Are you currently seeking a locksmith to provide deadbolt repair? We will help before you know it. If there is any trouble with the deadbolt, just let us know. Is the bolt not thrown to the frame when you are trying to lock? Does the lock make a clicking sound? Is the deadbolt not unlocking? 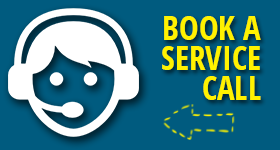 Bring your troubles to us and a pro will address them in a jiffy. Not only do we hurry to send out a pro at a double when you need repairs but deadbolt lock change too. Is the lock damaged? Just give us a call and consider your problem tackled. Not only will a pro come out to change the lock but will do what it takes to ensure your property’s security. 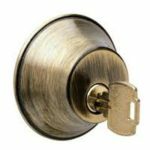 Call us for trusted Woodbridge deadbolt installation and repair services to have peace of mind.